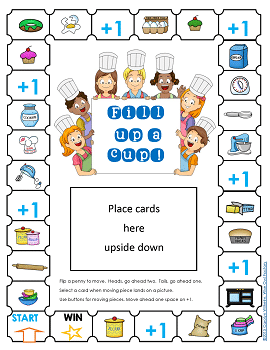 The measurement game included is for players to collect enough cards that say teaspoons, tablespoons, and so on to make exactly one cup. 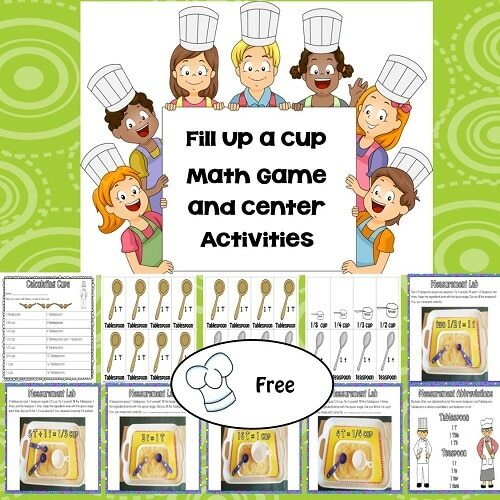 There is a game board, cards to draw, a cooking conversion sheet, and a scorecard. Buttons would make good moving pieces. A penny is needed as it is flipped to determine if the player goes ahead one or two spaces. The game board has a space to hold the cards. 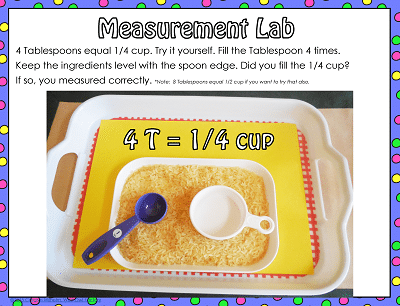 Children need many measurement experiences in the kitchen to help with math understanding. My husband says he can’t cook, yet he is excellent in math, so I think he just doesn’t want to cook. Cooking is math! The best cooks it seems find and follow the best recipes exactly. My grandma could cook without any measuring tools after years of practice, and it is good to be able to estimate amounts. Teachers know it does help in first-grade math and beyond. 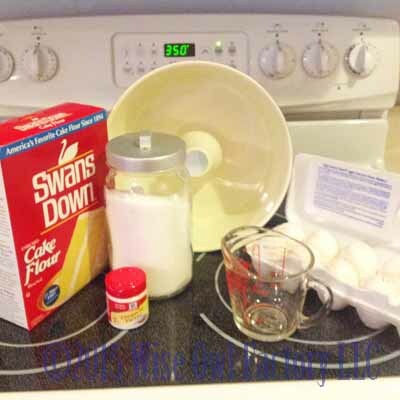 So you may not feel like actually baking with your child and I have prepared some activities that only take a little more than a cup of rice. 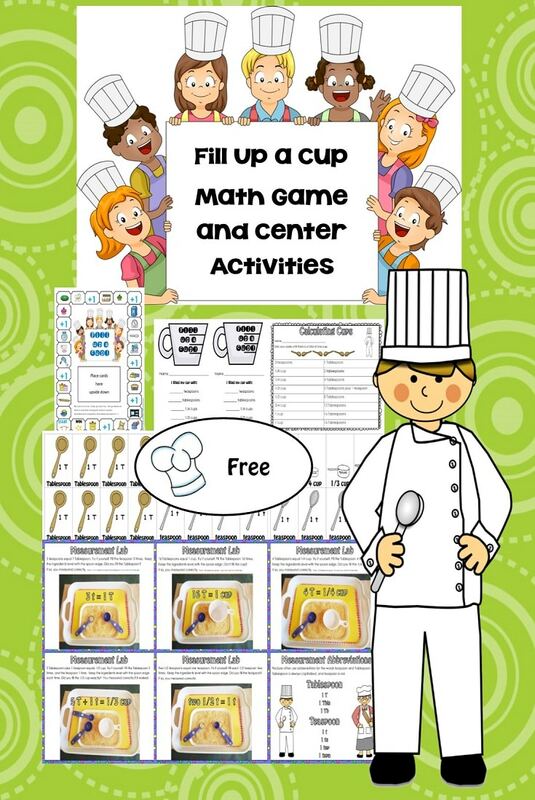 The activities will help the children get used to fractions in the kitchen, which will make them more familiar in math class. The centers have photos illustrating how the activity should appear (for the next students) and directions. The directions are there just to remind students there are instructions — if any reminders are needs after an introduction. 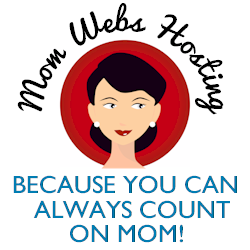 The directions also help with class volunteers or paraprofessionals. Here is the free download – click on the next blue link for your copy. 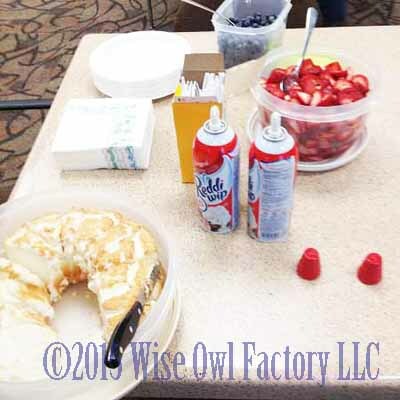 Of course, I had to try to bake an angel food cake which our writing group enjoyed. 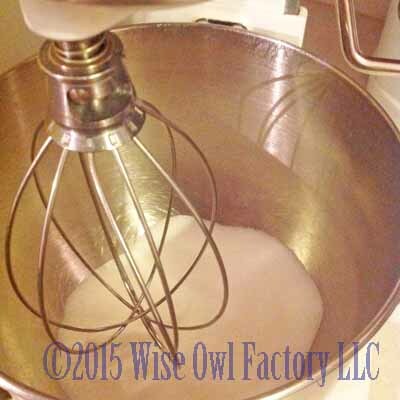 The sugar has to be “spun” prior to using when baking an angel food cake. More “proof” I actually baked a cake from scratch!